This was all a pre-planned affair by Congress to Highlight Rahul and nothing else,Our Sonia Mam is very clever indeed..Apne bete ke liye apne workers ki bali de di..
Of course, credit goes to Dr Singh. He created this problem to prove his loyalty. 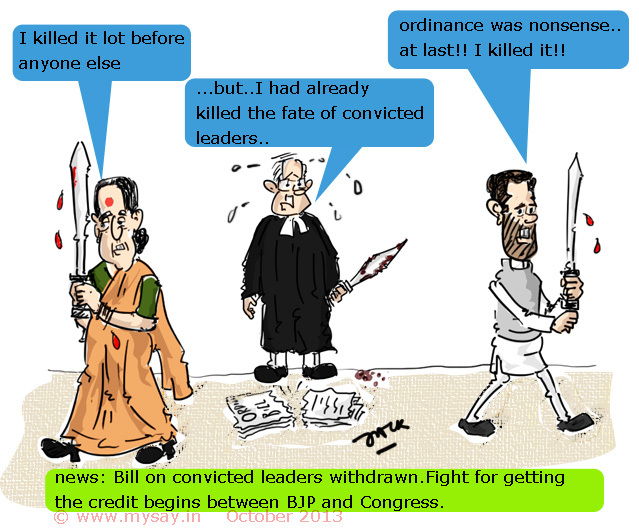 He had the last laugh, when Rahul Gandhi trashed the ordinance. One more term for Dr Singh as prime minister just got assured.